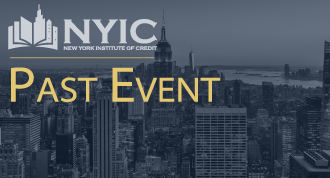 JUDICIAL LAW CLERKS ATTEND FREE: NYIC’s Future Leaders are extending a special invitation to judicial law clerks to attend this popular event free of charge in order to become acquainted with NYIC and meet peers in the industry. Advance registration required. Sponsorship for this event will be available for $500 and will include one attendee to the event and your company logo on the event page and promotion. Please email skuhns@instituteofcredit.org to take advantage of this opportunity.